Would you watch an animated hologram of a rocket launch in real-time? 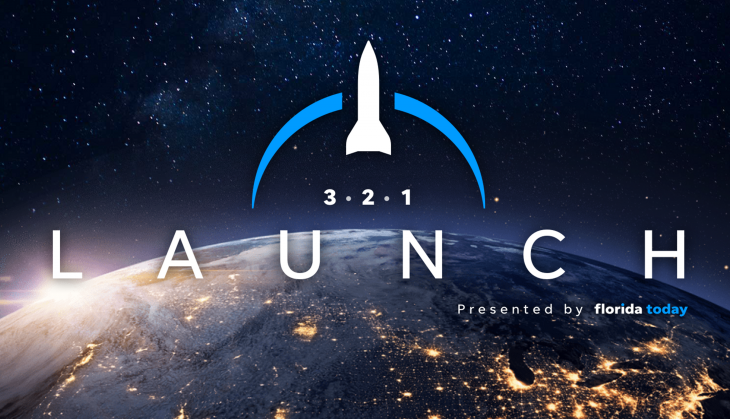 Florida Today, in collaboration with USA Today, recently released an augmented reality app, 321 Launch, which syncs with SpaceX and United Launch Alliance to allow users to view an actual launch on any flat surface. 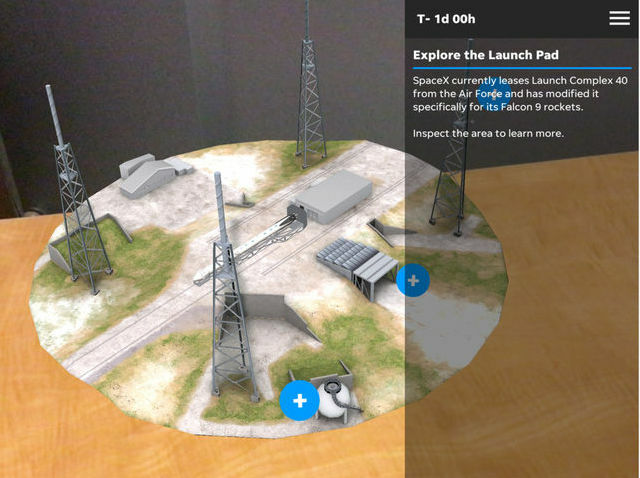 The app combines the live coverage of rocket launches with an educational tool to teach users about the underlying science. The number of downloads is now close to 100,000, with an audience coming from around 56 countries. Roughly 48 percent of the users are 18 to 34 years old. 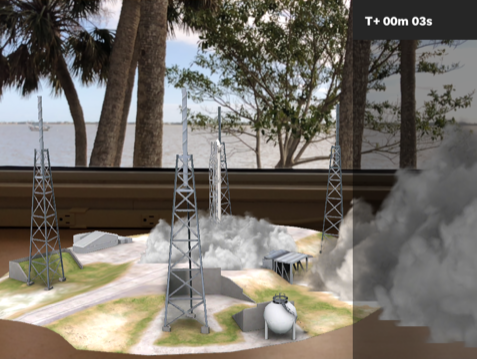 Storybench spoke with Bob Gabordi, executive editor, Mara Bellaby, news director, and Emre Kelly, space reporter, about the development of the app and the impact augmented reality has had on journalism. Why did you decide to invent this app? Bob Gabordi: We have been looking at ways of trying to, if you will, marry our journalism and what is important to our audiences in our journalism – that new way of delivering information – for a while. Since we cover the space industry, this made a lot of sense to us as a way of being able to visually show a rocket launch and what’s going on during a rocket launch in a way that we never could before. There are two pieces to it – there’s the educational experience and the live rocket launch, which is in sync with the actual rocket launch that occurred. Kennedy Space Center is only a few miles from us down the road, so that all made sense. Mara Bellaby: You know how you brainstorm and you think what’s for you that’s new and different? We were looking at Pokèmon GO and how that used real settings and augmented reality, and just doing discussions about what we could do that freshens up our launch coverage, which is very successful and attracts a huge audience. We applied for an internal contest at Gannett to see if we could win and get help from a corporate team to build something. We won. And in those discussions, the format that it currently takes really took shape. Bob Gabordi: Honestly, we decided to do it because we are trying to reach younger audiences. They require more visuals and more reality-based visuals, and it has been successful in that. Our initial results showed that roughly 48 percent of the people that are using the app are 18 to 34 years old. It is an incredibly big win for a media company to be able to say 48 percent of the audience that it reaches is 34 and under. What tools did you use to obtain data from different space agencies or companies? Emre Kelly: Most of what we used was our own knowledge of launches. It took a bit of research here and there. I only asked SpaceX once or twice questions we didn’t know the answer to, because we weren’t trying to get too detailed. We were able to use our knowledge in the newsroom to construct that educational experience. But for the educational experience and how to best see the trajectory of the rocket in real time as it flies, we worked with a local guy who has that data. He was able to share it with us as long as we gave him credit. It’s a win-win for everybody. Bob Gabordi: That’s what enables us to punch in the data points of where the rocket is going to be at any given second and the path that it has taken. That gives us the reality of being able to sync up with say, a SpaceX rocket or a ULA rocket. So, if you have this app open, and if you live here on the beach and you are watching the rocket go up, our rocket is in perfect sync with the actual rocket that is going up. And it’s because of those data points. How difficult was it to analyze and present the data through your app, especially through the live coverage features? Emre Kelly: In the educational part of it, it wasn’t too hard since we were going chronologically – the rocket starts out here, and then it goes out to the path here, and here’s some information about the path. That’s sort of traditional storytelling, if you will. There are a lot more moving parts for the live experience because you have that trajectory information. It goes beyond because it has to be accurate as it’s happening at the time. Also, in the live coverage area, we have a live chat and a live video. It kind of has to be flexible enough, because every mission is a little different. It can be difficult if that’s, for example, changing something for the next mission. Even if they change something very small, we might have to go in and adjust the way the live experience presents that through the app. For example, if this time they are not going to land one of their boosters, then we need to make sure the app works like that even though they typically would land for a mission like that. That is sometimes difficult to deal with, but the app is flexible enough to handle it. Bob Gabordi: The other thing is that if the actual rocket is not behaving the way our rocket is behaving, that could be an indication that something isn’t quite right – either on our end, or more importantly, with the rocket itself. Again, from a journalism standpoint, it gives those insights that we wouldn’t have otherwise had. Did you encounter any obstacles during the development of this app? Bob Gabordi: In terms of obstacles, we are still encountering things, because it is such new technology. It’s not perfected yet. Every time that we do an update or make a change, we are testing and retesting, and making sure that everything goes off. But just like in real-life space launches, things aren’t always perfect, and we are working towards that. As NASA was launching the Apollo mission – and the missions before that even – during the shuttle error, there were always glitches that occurred. We are facing some of those very same kinds of things from time to time. We learn from it. We overcome it. And we move on. It’s not easy stuff to do – a lot of hard work, and it requires a lot of resources. But we are committed to keep at it. [perfectpullquote align=”right” cite=”” link=”” color=”” class=”” size=””]“Just like in real-life space launches, things aren’t always perfect.”[/perfectpullquote]Mara Bellaby: I think one of the biggest surprises for me was that it’s not a static thing at all. As journalists, we are very used to changing things on the fly with stories, videos and social media. We need to react very quickly. It’s not that kind of thing that is one-and-done as you finish, that you [can] stand back and say it’s great. To Bob’s point, in terms of the level of our commitment, we created a staffing position that yields with this new technology. That’s a sign for me that it does need to constantly evolve. You do need to troubleshoot; you need to play around with it; and it’s not an end for us if it’s something that we just don’t know how to do. We [normally] do the storytelling side [but] this requires the coding side. 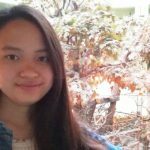 So that has been an eye-opening experience for me. As journalists, as we go forward and do things like this, you do need other assistance and help. And you need to build that in. In what ways will your app have an impact on journalism, the space industry, and society at large? Why should people use this app? Bob Gabordi: That’s a tough question. Some of that is still [yet] to come – you know, we will find out. This newspaper, we founded it because of the state’s program. We call ourselves the space coast newspaper. It was created because the space program was here, and this community was growing. But it has been rather static in how we approached coverage for a long time. This changes it. It enables you to do more than just taking pictures and videos and watching it from afar. You can put a rocket in your hand as it goes up, and you can see it up close. That really personalizes it for people. And you can do some fun things with it, too. Because of the technology, you can watch a rocket from a tabletop, a desk, a swimming pool, or wherever you happen to be. That’s number one. Number two, it used to be that really to see it up close, you have to be in Brevard County, Florida. Now you can see it up close from wherever you are. I am not going to call it an exact replica, but it’s pretty close to what the rocket actually looks like. We are finding that we are having a nation-wide audience – people from around 56 countries were watching the rocket launch via this app. It is able to bring this coverage to you wherever you are in a very personal way. That changes how you approach it from a journalistic standpoint. It’s not just static pictures and it’s not just video. It’s reality. It may be augmented reality, but it’s reality. Mara Bellaby: As a parent of a 9-year-old [son], [I] see how he uses technology like this, [how] it’s natural for him, and [how] it’s expected. We still do our print newspaper, we’re digital, [but] I think this is an important thing to give us a foothold on how things quite possibly will be, and to raise our flag out there on a new way of doing things. I don’t think it’s necessarily critical that any one thing be successful, but it’s starting to let people know that journalism is here too. It’s not just video games, it isn’t just other kinds of media, it is journalism media. That’s what surprised me the most about it. That’s what I think the bigger impact might be. Bob Gabordi: We have sat down with astronauts and people that are very close to the space industry and demonstrated this and the educational value of it. They got pretty excited about it. I think that’s because it is so much closer to the reality that they know. I am not going to suggest that by itself it’s going to do it, but one of the greatest impacts may be to help get children like Mara’s son excited about space again and thinking about space again, because this is fun and exciting. And at the same time, it’s real journalism. Emre Kelly: As far as the space industry goes, some of the people I’ve spoken to who work for SpaceX or Boeing don’t have apps like this. They have never used an app like this. They have used augmented reality apps before, but they never saw their rockets on a table or something like that. They thought it was really cool. Obviously, they are busy building rockets. But maybe in the future they can use augmented reality as a tool for their engineers or for people actually working on the rockets. Augmented reality technology is already on the International Space Station. It can teach skills that they don’t have, like how to fix a computer. If they don’t know what they are looking at, augmented reality can help them. In what ways will new forms of media, such as augmented reality and virtual reality have an impact on journalism? Bob Gabordi: We are just getting started. But the exciting thing is that we are started, and that we are thinking beyond the rocket and this one app – [about] how we are going to use augmented reality and virtual reality and other emerging technologies to tell our stories. We can bring people places and have them see things that they never could before. It isn’t easy stuff. You can’t just be, “Hey I am working on a story about something that’s going to be posted online tomorrow, and I need an augmented reality tool to go with it.” For bigger journalism projects and things where we are trying to explain very complicated things towards [topics] from infrastructure to science and medical stories, it gives us an opportunity to create better understanding around our journalism. I think that is the big promise of it. This is fun, and it’s exciting, and it’s helping people understand space in a way that they never could before. And when you think about that on a more global scale of other stories – that’s what we want to explore next, and that’s why we created an augmented reality position to focus on this. I am not sure, I don’t know this, but he’s the first augmented reality editor I know, particularly at a mid-size newspaper company. We are going to keep trying to find new ways of telling stories with it. What is the future of this app? How will you expand it? Bob Gabordi: We are asking ourselves that, too. We are close to 100,000 downloads. We’re going to figure out how we are going to make money so that it’ll help support itself. Thinking about those kinds of things and to think about how to expand it next, we’ve heard these wonderfully interesting ideas extending the flight to match the actual rocket. If the rocket is going all the way to the space station, can we take our rocket there? Missions are being created to return man to the moon and beyond to Mars. Can we create tools to take people there with them? I don’t know the answer to those yet, but they are certainly things we want to explore. [We don’t want to] have it become a stagnant thing where it was cool for two minutes and then forgotten about. Next year is the 50th anniversary of man walking on the moon for the first time. It will be really cool to do something to go with that.